Saddell Bay has ticked all of my 'oh god I need a holiday' boxes. Mainly because I can't decide which building I should stay in. 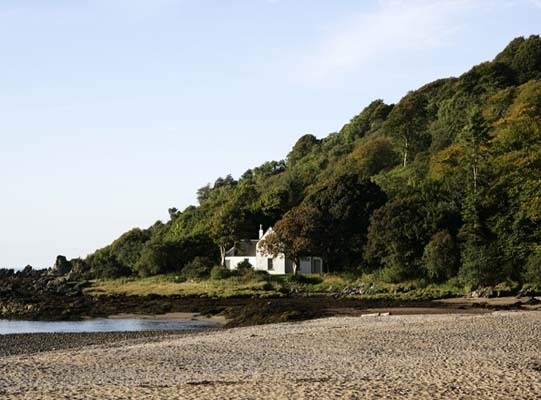 The Bay overlooks the Isle of Arran in Scotland, and has some truly gorgeous buildings that span about 500 years. The Landmark Trust now own the little stretch of amazing properties, which means I'm going to have to play eaney-meaney-miney-mo to pick my favourite. 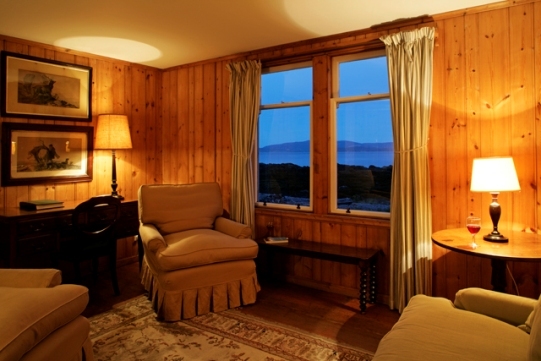 Shore Cottage is definitely a contender for my holiday plans. It sleeps four, but it's oe of the priciest - it's £652 for a weekend. If you were quick you could go tonight - they've got some late availability. This is Cul Na Shee. It looks like the kind of place one should drink whisky on rainy nights. It's about £500 for the weekend and sleeps four. 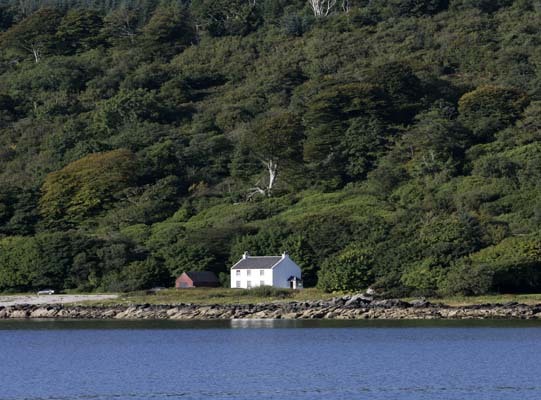 And there's the Ferryman's Cottage next door, built in 1930 and a bargain at £262 for the weekend, with enough space for five people. Hooray! Saddell House is rather fond of animal heads on walls. Woah. If that's not your bag, Saddell Lodge is a little less... flamboyant. 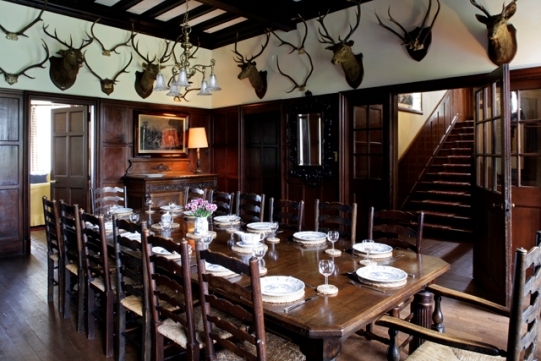 If you've got 13 friends and £720 a weekend in the House is perfect. Or four of you can sleep in the lodge for just under £400. None of these good enough for you? 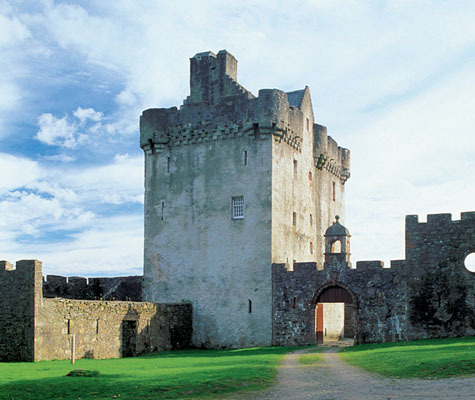 Then you could just stay in Saddell Castle. This one! I pick this one! Eight people will sleep soundly for a weekend for £683. Of course, you could just grab everyone you know and hire out all of the buildings at once. That would be the most amazing holiday. 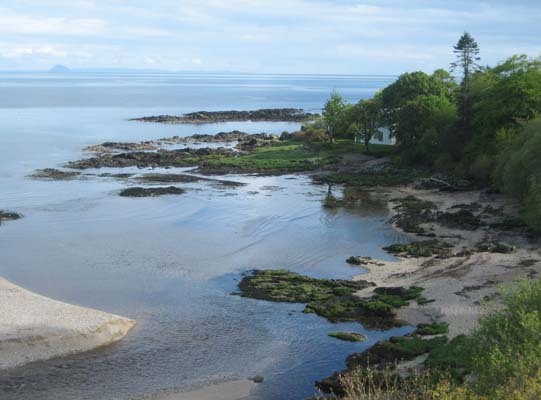 Landmark Trust have such special buildings and Saddell Bay is a very unique collection of them.